We have different options to backup our data, customized options using tools like AZCopy and Azure storage, even Azure Function, we can speak about these option in another post or video, the top Azure stack is Azure Backup. Azure Backup is the stack we need to backup all our data in Azure and from the Othe n-Premise environment. The using of Azure Back is straightforward but, of course, backup our resource involve storage, different availability strategies and most important costs, let go trough the most important things to know. What we normally need to backup are , SQL Server database, VM and files, and we can backup using our own strategy, below a classic approach. For SQL Server I recommend the using of Hallengren scripts to create your backkup plan (https://ola.hallengren.com/) and then copy your backups in a Azure storage account using AZCopy (https://azure.microsoft.com/en-us/blog/azcopy-5-1-release/). For VM, create your snapshots and copy in the Azure Storage account as above. 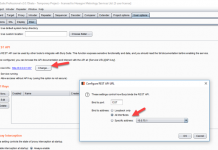 For files simply copy in the Azure Storage account as above or you can use a File Server strategy using Azure FileSync https://argonsys.com/learn-microsoft-cloud/library/step-by-step-azure-file-sync-on-premises-file-servers-to-azure-files-storage-sync-service-afs-cloud-msignite/ , awesome stack. We can use Azure Backup to backup our File Sync file share which provide a total availabilty. The point is that we also need to create our backup governance, we need to manage all the infrastructure, in an enterprise scenario is quite impossible to centralize that. Another interesting option is using our centralized backup system, for example like Quest Rapid Recovery (QRR) (https://www.quest.com) running in a VM and copy the QRR files in the storage account, QRR offers Azure integration out-of-the box, but also in this case we still need to manage our QRR VM and infrastructure. QRR offer the possibility of installing a QRR VM ready to go in Azure and backup directly from on-premise, or directly configure an Azure storage account directly in QRR on-premise VM. Azure Backup will cover all of that with Azure Backup Service, which a centrilized service based on a service consuming cost that we can organize and planning following our requirements. 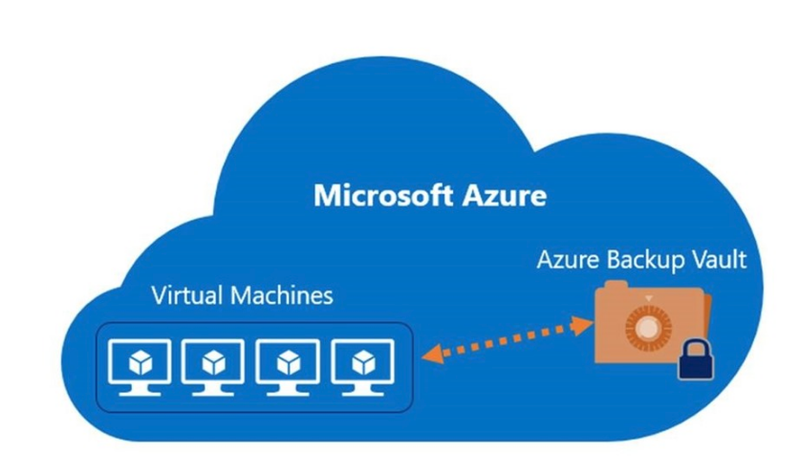 Azure Backup has also some other interesting option to know, we can install the Azure Backup in our VM and we can perfomr a Windows Server System State (WSSS), the WSSS is a service which will backup all the important VM configuration and OS data automatically like, IIS Metadata, Active Directory dta, the System Registry and more. We can restore our internal OS system metadata very easily, also a single file if required. 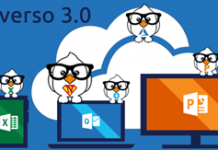 What we need for very large data files, Up to 100 TP, Azure Backup is part of Azure Recovery Services Vault (ARSV) https://docs.microsoft.com/en-us/azure/backup/backup-azure-manage-windows-server , and ARSV provides the Azure Data Box Service, in this way we can directly integrate our Azure Data Box https://azure.microsoft.com/en-gb/services/storage/databox/ in on-premise. Another important point, personally the top one, to consider is the security. The backup is the the best prevention and defence against ransomware https://www.tripwire.com/state-of-security/security-data-protection/cyber-security/10-significant-ransomware-attacks-2017/ . We also need to consider that a criminal also attack the backup files and storage and not just the databases and files, we need to protect all. Azure Backup provides encryption files with multiple layers authentication and of course, RBAC https://docs.microsoft.com/en-us/azure/role-based-access-control/overview , this is something we need to manage by our own in a classic backup scenario. We can easily calculate our cost using the pricing calculator https://azure.microsoft.com/en-us/pricing/details/backup/ , sometime I see people straggling a bit understanding how it works. We have different voicies, first we can do the backup for Azure VM and On-Premise and the second tab for SQL Server on Azure VM, the VM backup doesn’t cover the SQL Server database backup in the VM. We also have the Backup for Azure VMs and on-premises servers which is the cost for the Backup Service and we have the Backup Storage which is the cost just for the Account storage. Previous articleAzureLeap – How to get started with Microsoft Azure – My TOP TIPS.